The UK’s Royal Mint has said it will now offer people the chance to buy gold bars to hold in tax-efficient self-invested personal pension (SIPP) schemes. These bars will be stored in the Royal Mint’s vault, with prices fluctuating according to the live gold price. The most expensive single bar can be purchased for £28,286 ($41,131), which will get you one kilogram of gold. 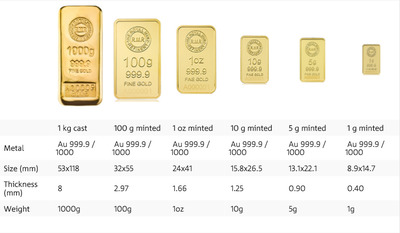 There is also a 1% (plus VAT) charge for storing the gold, based on the daily market value. The move follows the decision by the Financial Conduct Authority (FCA) in 2014 to make gold Bullion a “standard asset,” — which means financial advisors are now allowed to advise clients to invest in gold. Gold has proved to be a solid investment so far in 2016. As a safe haven asset, the metal enjoyed huge inflows early in the year, when crazy volatility in the global markets led investors to look for safe storage spaces for their money. As a result, its price has risen by more than 16% since the beginning of 2016.